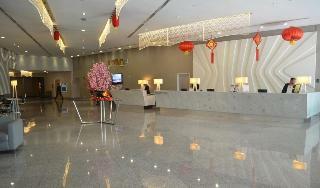 The Hotel is Klang'S Newest Business Hotel With 250 Rooms and Suites. The Hotel'S Pillarless Grand Ballroom is One of Klang'S Largest Ballrooms Offering an Impressive 26-Foot High Ceiling and State-of-the Art Audiovisual and Lighting Equipment. Further Facilities Available To Guests At the Air-Conditioned Establishment Include a Lobby With 24-Hour Reception, a Hotel Safe, Lift Access, Wireless Internet Access, Room and Laundry Services, and a Car Park.